Get behind the wheel of a Ferrari F430 turbo on a 30- or 60-minute test drive through the rolling hills of Emilia-Romagna, then learn the story of Enzo Ferrari at the Maranello Museo Ferrari. Train with a professional Ferrari co-pilot, and hit the road with an internal camera to record your driving experience to DVD. Make your way Museo Ferrari in Maranello, where you’ll meet a Ferrari co-pilot for a once-in-a-lifetime drive. 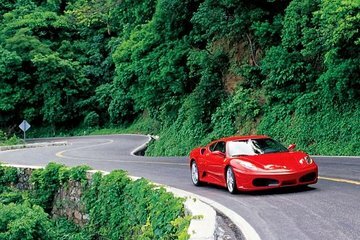 Start with some basic training, so you can get the full experience of the F430’s powerful engine. When you’re ready to go, head out of town on a route through the winding roads of the Italian countryside, where you’ll find tight curves and spectacular views. An internal camera will be running throughout the test drive, so you can bring home a DVD—along with an official Ferrari test drive certification. After your time on the road, you’ll have the remainder of the day to explore all 27,000 square feet (2,500 square meters) of the Museo Ferrari at your own pace. In addition to a collection of exquisite cars, the museum houses racing trophies, historic memorabilia, and constantly-rotating exhibitions that celebrate the art of cars and driving. Outstanding! A lot of fun! The driving experience was truly amazing!!! The museum was very interesting, and full of beautifully exotic cars. I highly recommend it.